Answer: hi dear! 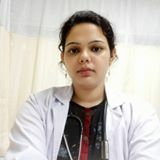 get your blood beta hcg done dear.it will confirm if there is any pregnancy .if the reports have values more than 25-50 it will confirm the pregnancy dear and if the values are less than 5 then it means there is no pregnancy so do this test and it will not require any fasting to be done. you can go and test it . and show the reports to your doctor so that further steps can be taken dear. dont worry dear. take care dear! Answer: Hello dear, you have symptoms of pregnancy. You can check at home through home pregency kit. If you got two pink lines it means you are pregnant. Answer: Hi dear, It's difficult to predict at this stage.though some ladies have early pregnancy symptoms.Ideally missed period is one of the confirmed sign of conception,but some women are sensitive enough to spot the signs as early as 4 th week.some of them are: 1- tender and swollen breasts 2- mild abdominal cramps 3- dull back ache 4- fatigue 5- increased urinating 6-spotting 7-nausea 8-increased basal temperature 9- smell sensitivity 10-darkening of areolas Some of the above symptoms does overlap,with pms,so one needs to wait till the next period and confirm pregnancy.you should wait till one week post missed period and take the test.all the best!